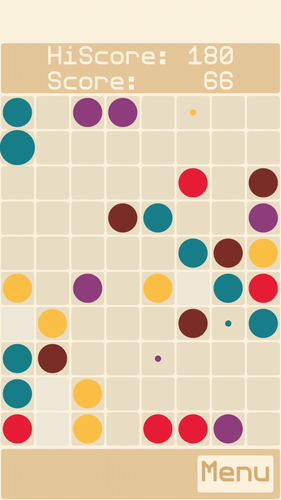 Match 5 is a board puzzle game. 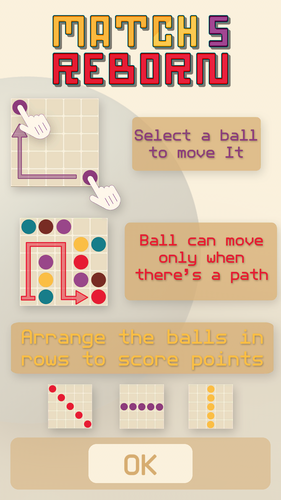 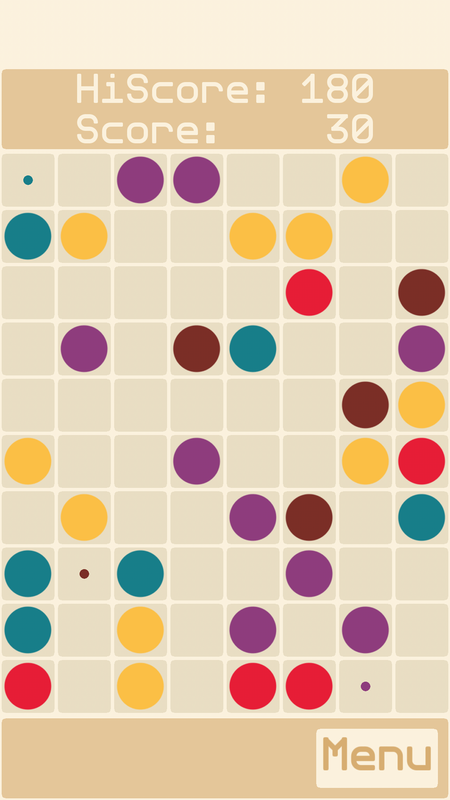 Your goal is to move balls to create lines of at least 5 of same colored balls. 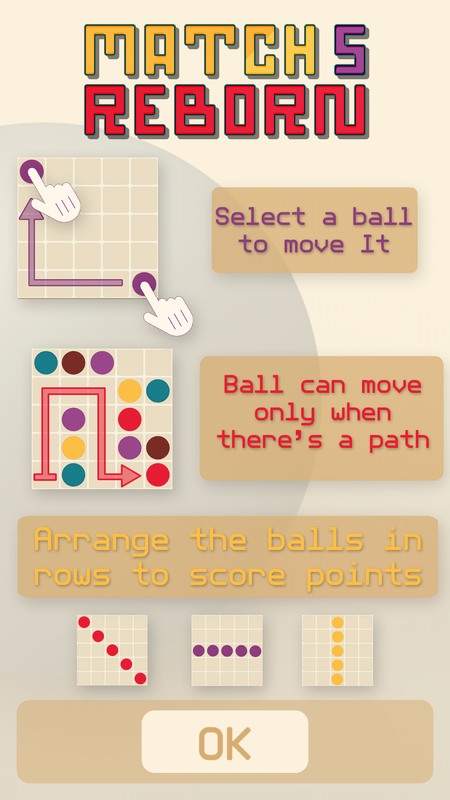 Each time you don't make a line, 3 new balls will appear on the board.